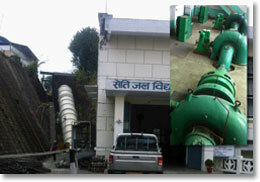 Seti Phewa Hydropower Station is a run-of-river type power station with an installed capacity of 1.5 MW. The power station was commissioned in the year 1985 A.D. The designed average annual energy generation of this power plant is 9.8 GWh.